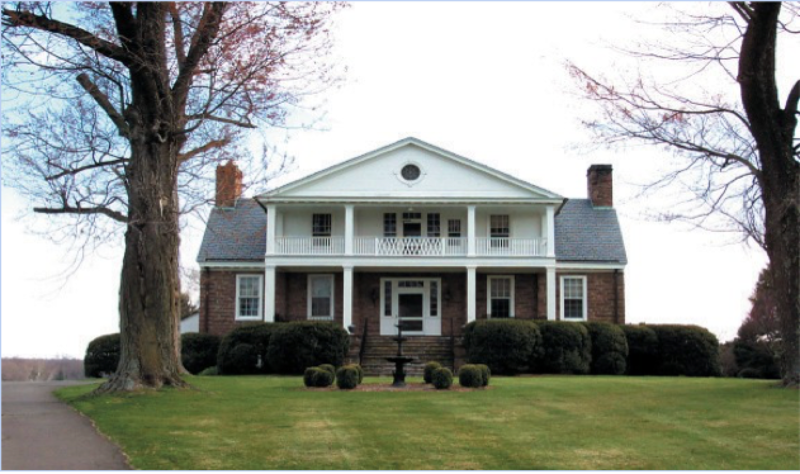 The community in Buckland, Virginia, has a deep commitment to historic preservation. A birds-eye view of Buckland Hall. In 1953, when Grace Bear’s historic home was threatened by the expansion of Route 29, she had no way of knowing her plight would become the rallying point for other like-minded preservationists. She restored and resided in the Buckland Tavern, a building that dates back to the final decade of the 18 century. Her actions set a precedent for other’s interested in protecting Buckland’s cultural heritage. This was, in part, the birth of the Buckland Preservation Society (BPS), a group of homeowners who joined forces 2003 to save Buckland from the dustbin of history. Today their successes are represented in the preservation easements and historic designation that protect the town and its fifteen remaining buildings. These preserved buildings have provided a wealth of information on early American building techniques and continue to offer countless stories of the rewards and challenges of living in historic homes. On January 15, 1798 the General Assembly of Virginia adopted a 48-lot subdivision officially establishing the town of Buckland—though Samuel Love and his family had been living on the property since purchasing the land from the sixth Lord Fairfax in 1774. The Love family set Buckland’s cornerstones at this confluence of roads along Broad Run, a nearby stream and established a spirit of innovation and entrepreneurialism that would come to define the town. Their endeavors included developing the town and organizing funding for a portion of the Warrenton to Alexandria Turnpike stagecoach road out of Alexandria—the origins of Route 29. Buckland proper, located just over ten miles west of Fairfax County, was a bustling town and home to three state-of-the-art mills, including the still-standing Oliver Evans fully automated 1780’s flour mill, several taverns, a post office, two distilleries, and more—much of which remains today. The Loves also raised horses for George Washington and the cavalrymen of the Revolutionary War. As one of Virginia’s first inland ports, this small industrial community continued to attract tradesmen, merchants and their families through the 1850’s. Buckland Hall was built in 1774. The town of Buckland is laid out on an English Axial Village Pattern with the Love’s home, Buckland Hall, overlooking the river, road and town. Buckland Hall was built in 1774 by Samuel Love, his wife Sarah, and their sons, who served in the Revolutionary War. The home’s river orientation and prominent place on the landscape is typical of early American village plans. On the second story balcony, dignitaries addressed crowds during public gatherings, and the large doorway and open hall space accommodated them for social functions. The entry’s carefully preserved hanging spiral stairway further tells of the Love’s affluence. The last major change to the home’s architecture occurred around 1806, when Samuel’s son John renovated the property by constructing an addition and reorienting the front door of the home to face the town and stagecoach road. Walking through Buckland, one feels transported back in time, as the view-scape around the town and the farm remains largely undeveloped, one of the core goals of the Buckland Preservation Society and a testament to their success. 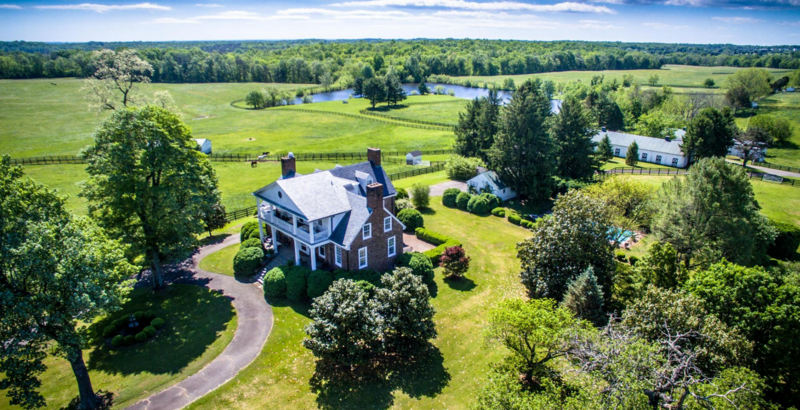 Buckland Farm’s most recent owner, David Blake, admits, “This does not look very different from what General Custer would have seen,” referring to the Union general that suffered defeat to JEB Stuart in Buckland’s well know civil war cavalry battle along Route 29. 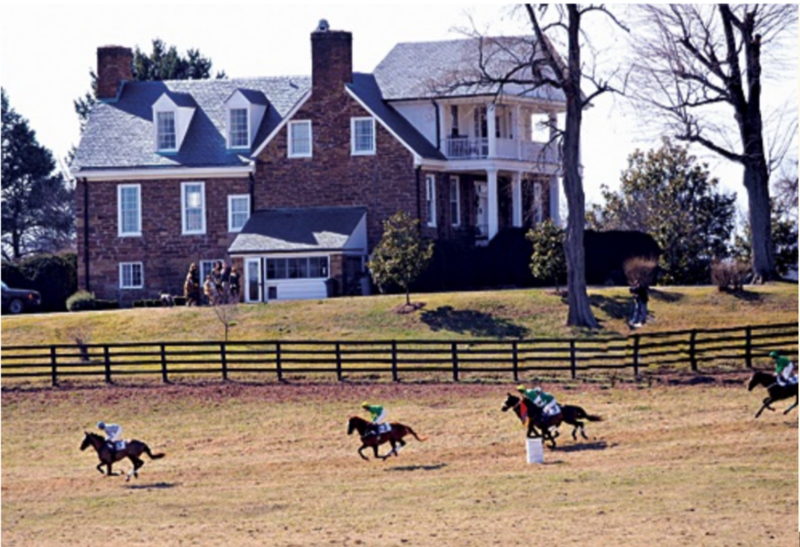 Now reserved in perpetuity with restrictive easements, the home and much of its surrounding Kentucky-style horse farm were listed for sale at $8.9 million in the summer of 2017. Buckland Hall and the town’s historic buildings evoke living, breathing beings always in flux, and it takes dedicated and passionate stewards like Blake and the other members of BPS to ensure their historical integrity. Buckland Hall and the town’s historic buildings evoke living, breathing beings always in flux, and it takes dedicated and passionate stewards like Blake and the other members of BPS to ensure their historical integrity. BPS believes that the heritage of Buckland belongs to the people and the best way to protect that history is to live in it. 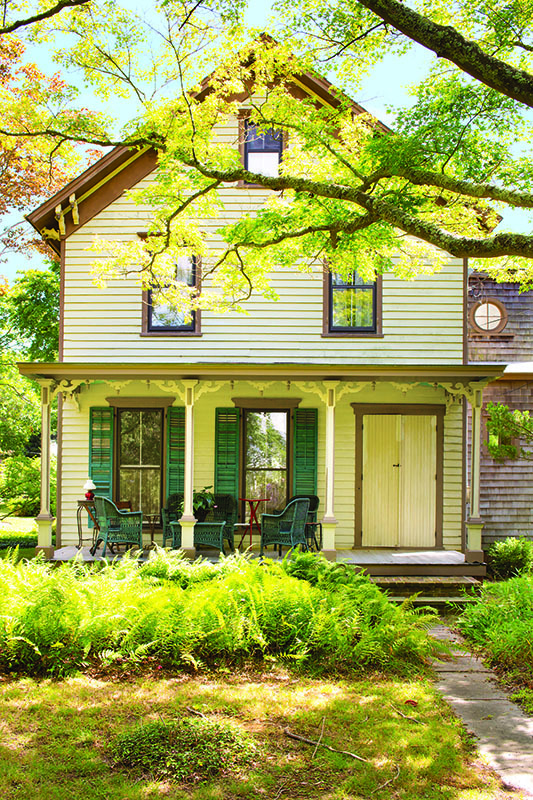 Living in an historic home in Buckland is more than a curatorial experience, it’s a way to connect to one’s roots and breathe new life into buildings that witnessed the birth of our nation. Buckland inspires a unique preservation opportunity, which Blake describes succinctly, “usually the people who want to preserve the land don’t own it, but we do.” However, threats to Buckland of highway encroachment and urban sprawl still exist today. To date, the preservation easements and historic designations, combined with a new generation of caretakers, have largely protected these labors of love, which harken to our past. However much more is required to ensure they are preserved in perpetuity. If you are interested in visiting Buckland or want information regarding its preservation, visit Bucklandva.net, or the Buckland Love Museum at lovebuckland.com. The preservation of an 18th-century house in Maine has been life-changing for a couple who found their best possible place. 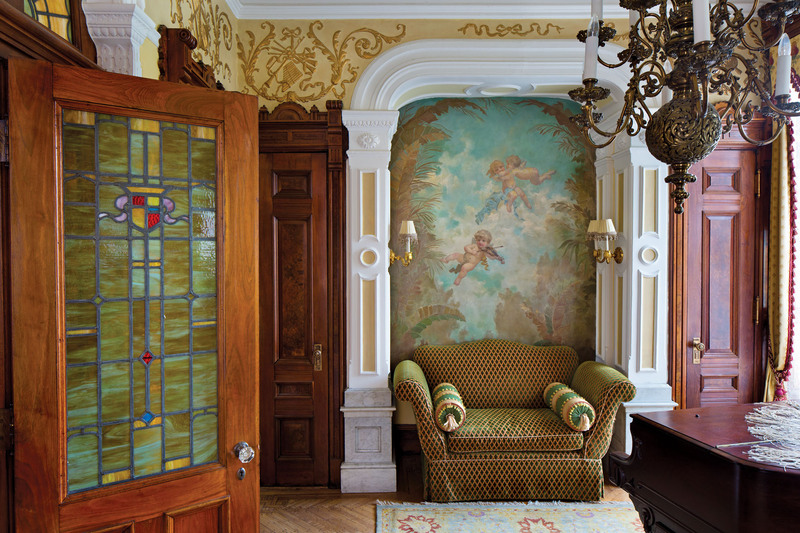 Across the river from Manhattan, a mansard-roofed townhouse built in 1883 gets the superlative treatment, guided by a preservation-minded designer.